but I think you will agree the end result is rather effective. 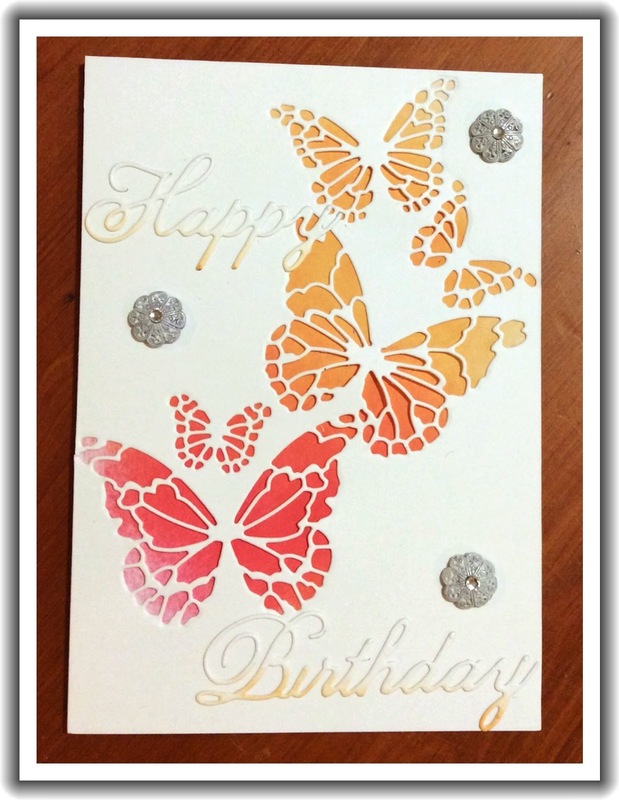 I have layered the butterfly die cut card over the top of a simple sponged background. distress inks: Worn lipstick and Dried Marigold. Don't forget to stop in to Bizzy Becs store to get these wonderful supplies and so much more. you still have aa couple of day to claim the Late April super savers coupon. Wonderful use of that gorgeous butterfly die, Mandy, don't think I've ever used Dried Marfgold with Worn lipstick like that but it looks great!